Ebook 3rd edition of the Handbook of Drug Administration via Enteral Feeding Tubes. All you need to know about prescribing or administering drugs via enteral feeding tubes. Vicky Bradnam, Pharmaceutical Consultant; and Rebecca White, Medical Advisor at Baxter Healthcare Ltd. 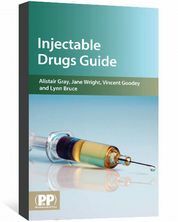 This eBook covers the technical, practical and legal aspects that you should consider before prescribing or administering drugs via enteral feeding tubes. 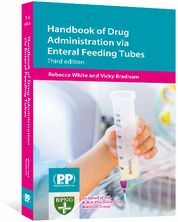 The Handbook of Drug Administration via Enteral Feeding Tubes furnishes you with the background knowledge to inform clinical decision making as well as providing over 400 drug monographs. a brand new chapter on medicines optimisation. 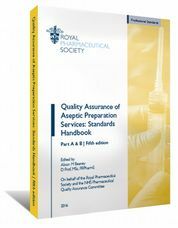 An essential resource for pharmacists, doctors, nurses, dieticians in hospitals, community pharmacists, GPs and anyone else involved in administering drugs to patients with limited GI access. This book supports the safe and effective prescribing and administration of drugs via enteral feeding tubes. ...This handbook would be extremely useful in hospitals, long-term care/rehabilitation settings, and skilled nursing facilities where patients may require feedings tubes for a prolonged period of time." "Monographs on over 360 drugs are included, providing information that is useful to pharmacists in preparing medication for enteral tube administration. Preparation steps and formulations are included and the information is well documented. Equipment used is also presented and diagrammed for easier understanding. 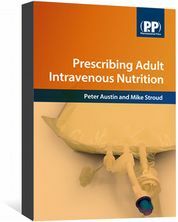 This book is invaluable to those pharmacists preparing medication for administration via enteral feeding tubes."